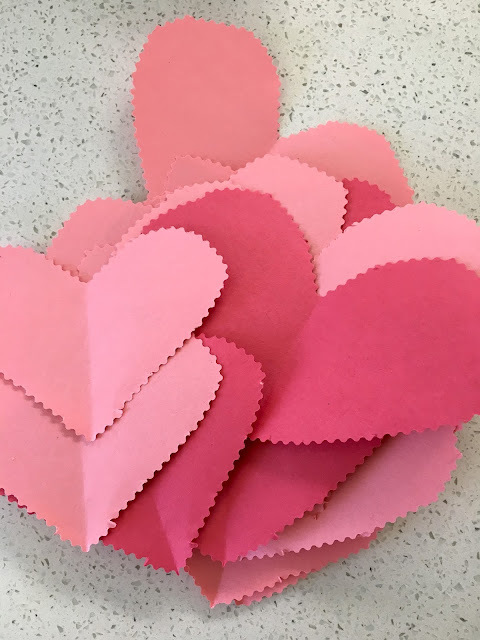 It is nearly Valentine's Day which means it's time to get those classroom Valentine's on LOCK. 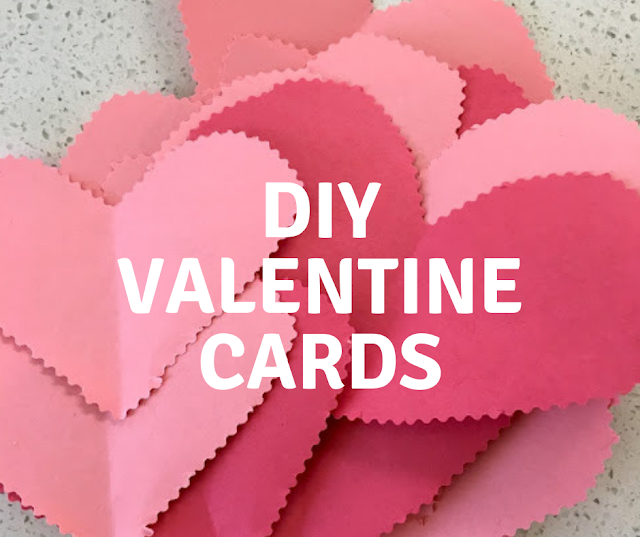 Last year, I took it upon myself to lead the charge on busting out 33 handmade Valentine cards for Clarke & J.R.'s classroom. I know it would have been much easier to buy them, but being the Thriving Mommy I am, I just felt they needed to be handmade. Lucky for the boys they cannot quite write or cut on their own...so I did the work...they helped sort candy and do the tape. The love tape. Now I am no craft-ista, but I can cut out a heart. And throw candy on it. 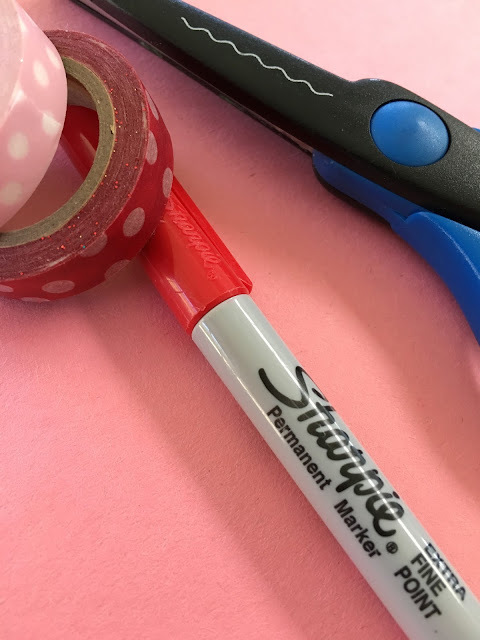 Using Washi tape. BAM! There you have it. Watch out Martha Stewart (yeah right). 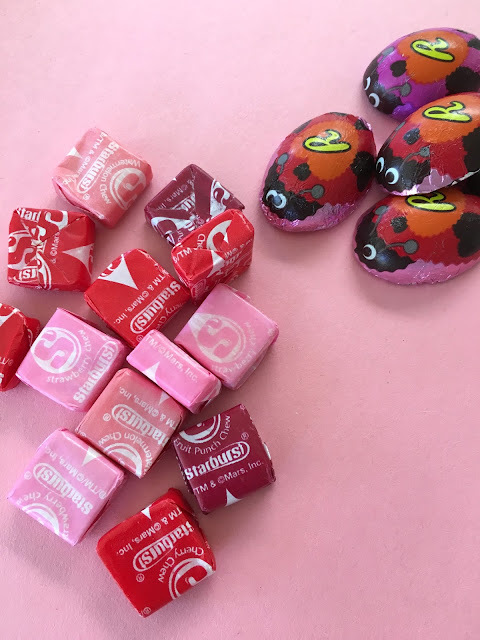 Lucky for me, aside from the candy (we went with Starburst FaveREDs and a Reese's Love Bugs) I had everything I needed; construction paper, Washi tape, a fine tipped red marker and some scalloped scissors. 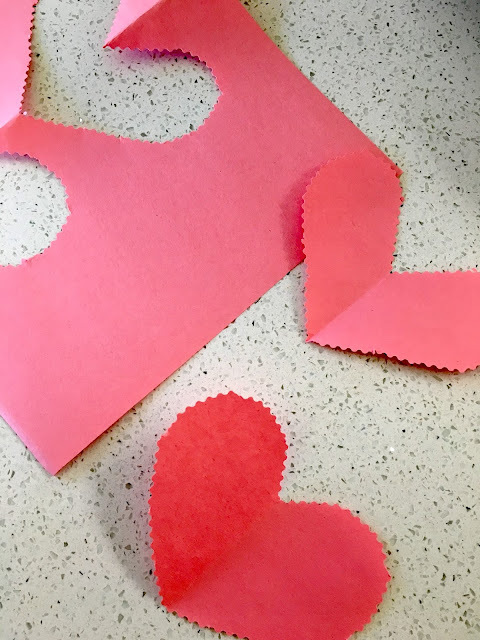 First step, fold the paper in half and cut out a heart. I am hoping you can recall that task from first grade. I know I did. 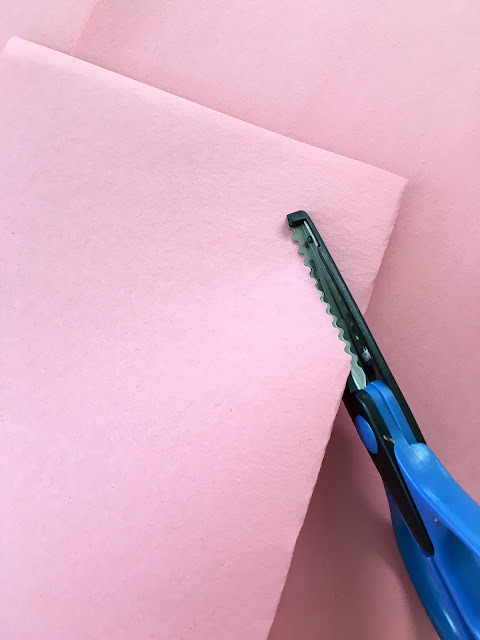 I also know I am horrible at cutting, hence the scalloped scissors; they make everything look better. I cut two sheets at a time which sped along the process and gave me two medium sized hearts per page. In just a few minutes I had 36 hearts (I made more to account for mistakes) and was ready to start adding the font and having the boys hand me candy. 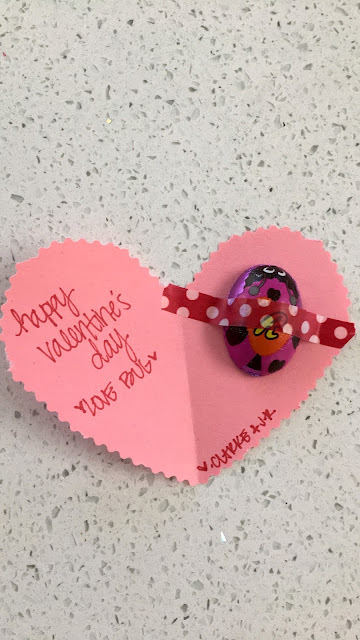 Using the "bugs", I wrote, "Happy Valentine's Day Love Bug" on one side and secured a cute little bug on the other - DONE. On the other we wrote, "To Our FaveRED Valentine" across the center and secured a Starburst underneath - DONE. And just like that, WE were done! Locked, loaded and ready to pass out at their party at school! So simple, so affordable, and oh so preschool cute! 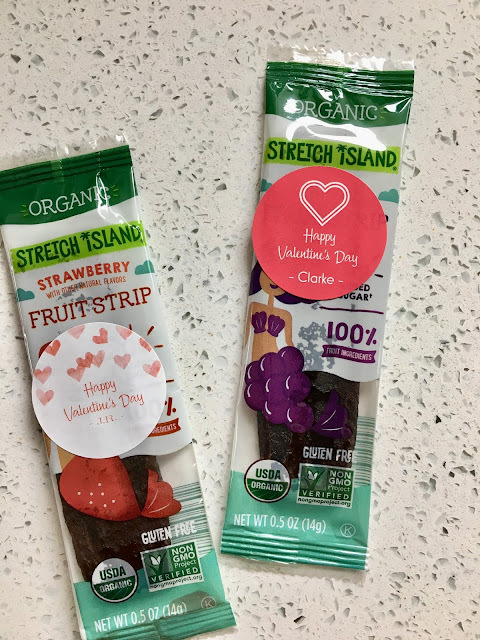 The Costco Organic Fruit Strip with personalized sticker!! In less than ten seconds you are ready to go! 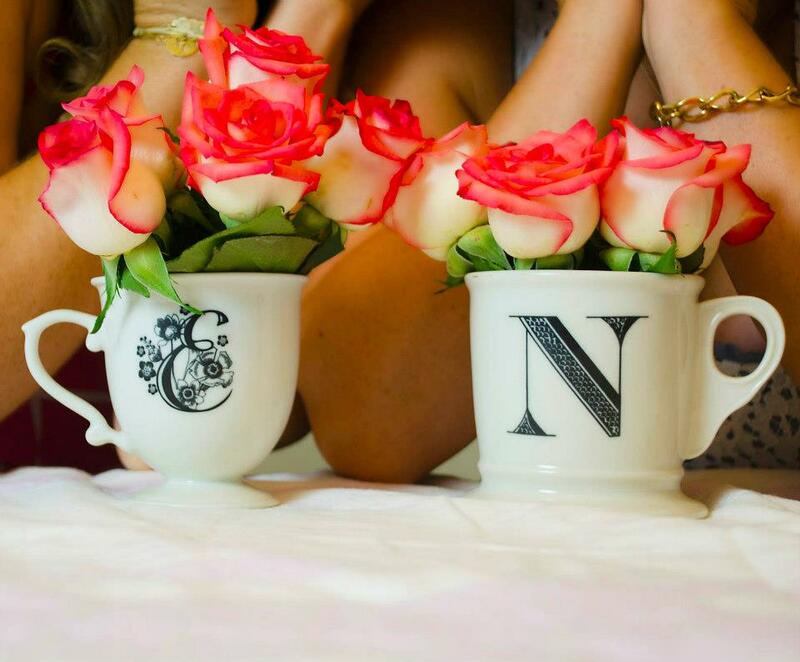 What are you doing for the class Valentine's this year?